According to the Content Marketing Institute, in 2016, B2B organizations plan to produce 76% more content than in 2015. That’s a lot of marketing noise! To boot, CMI also reports that in 2015, 64% of marketers didn’t have a content strategy and only 30% of marketers said their content was effective. Those numbers are unnerving considering the blood, sweat and tears (time, more time and money) that you invest in developing premium content pieces such as whitepapers, ebooks, case studies, how-to guides, etc. Premium content is key to your business’ success! Whether your offer is for the epiphany (above the funnel), awareness (top of the funnel), consideration (middle of the funnel) or decision stage (bottom of the funnel) of the buyer’s journey, to achieve success your strategy must be aligned with how buyers engage, learn and consume content today - not 6 months ago. So how do you get the most ROI from your premium content? Start with your buyer personas. To grab their attention, capture them as a lead and guide them down the path to becoming delighted paying customers, your premium content must be focused on what matters most to them. Do you know how effective your premium content is? Consumption Metrics. This includes landing page views and total downloads. Lead Generation Metrics. These take consumption metrics a step further and analyze offer downloads by new contacts and re-submissions. When looking at lead generation metrics, make sure you determine your lead-value price. For example, if you plan to invest $4,000 in creating an ebook and then another $4,000 in promoting it (this number can go sky high when using both paid and non paid promotion channels because you must still account for man hours), your total investment will be $8,000. Now let’s say your lead-value price is $100; in order to land in the black with this premium content investment, you will need to generate a minimum of 80 leads from your offer. Sharing Metrics. These metrics include likes and shares on social media channels. These numbers will help you see if the premium content your are creating is resonating with your audience in social networks. Sales Metrics. Closed sales are the most important metric. It’s important to track inbound leads generated through your premium content offers to see if/when how many turn into paying customers. At Imagine, we use HubSpot’s marketing and CRM platforms which allows us to view sales conversion rates and to follow each contact’s journey from lead to close. Many of Imagine's clients are SME’s focused on B2B sales, so when evaluating our success, we tend to focus on lead generation and sales metrics. Below is an example of some consumption, lead generation and sales metrics for a premium content offer shown in HubSpot. The numbers show that 1,195 people viewed the offer landing page and 621 people completed a form to access the offer. The conversion rate is 51.97% which is quite good compared to the 20% benchmark for most offers. We can also see that 237 people that downloaded the offer were brand new contacts. Based on these numbers, the offer is performing well by attracting brand new conversions and re-conversions. Please note that while we don’t have customers yet from this offer, that isn’t necessarily a bad thing. In order to determine an offer’s impact on your sales metrics, you will need to consider when you went live with the premium content offer and the length of your sales cycle. 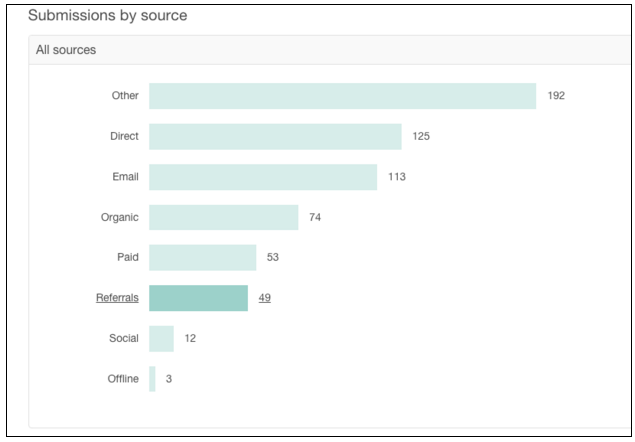 Digging deeper into lead generation metrics, we can take a look at the source of submissions. The source shows you channel performance so you you can decide where to spend more time promoting the offer. In the example above, direct traffic is the second largest source of lead conversions for this offer. This means that the offer is really resonating with visitors coming directly to the site. While these numbers are good, they can be even better. To improve lead generation results for direct traffic, review CTA metrics such as page placement, views, clicks and submissions. The next step would be to try some A/B testing with CTA size, format and copy to see if the number of leads generated can be increased. Another important trend we watch is submissions over time. Typically an offer will get a lot of traction when it is first released but over time interest wanes. If the offer had good traction and equated to customers, updates to promotion copy and ads, CTAs, the landing page or the offer itself may improve your lead generation results. But don’t change everything at once, make small tweaks and test to determine if the lead generation impact justifies your efforts or if it’s time to retire the offer. 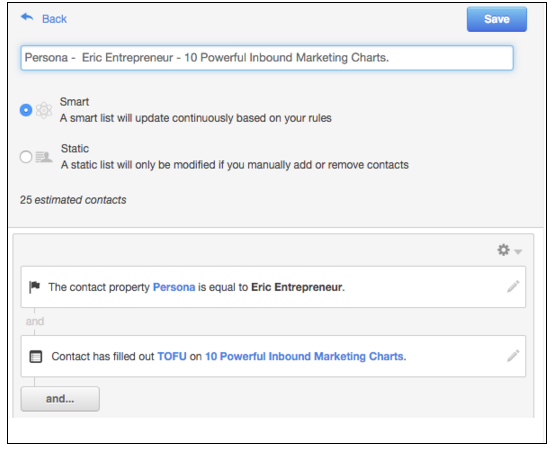 HubSpot also auto-generates smart lists for the fields “Persona Name - Lead” and “Persona Name - Customer.” Reviewing these lists allows us to dig into the contact profiles to see trends around the offers that are generating the most conversions and reconversions. 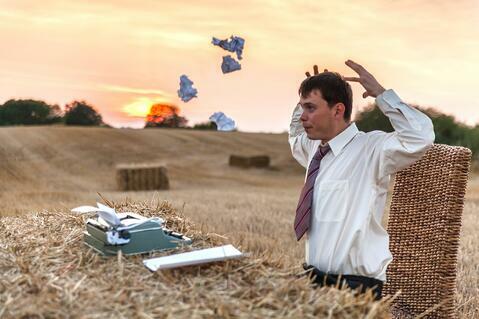 Is your content relevant and does it resonate with your buyer personas? Are you addressing their pain points from a teaching point of view? Is it obvious? Does the title of your premium content offer clearly show the value for the prospect? Is the cover easy to read and does it make an immediate impact? Little tweaks can go along way! Is it aligned? Does the value of your premium content offer coincide with the amount of information you are asking prospects to complete in forms? Be honest here and be fair. Don’t ask for too much information from your prospect for a top of funnel offer. If you need more information from leads either up the ante of the premium content you present or leverage progressive profiling for leads that reconvert. 5 Second Rule - Attention spans are nil! Do your premium content landing pages show the value for a visitor skimming the page? If you can’t say yes, revisit your headline, subheads, the image, copy formatting (bullets and bolds are your friend), form header and CTA button. Clarity - Do your CTAs clearly identify what the visitor will get when they click? If your premium content offers are underperforming, take some time to revisit each of these five key areas before you start your next piece. Additionally, a few adjustments to an existing piece may help you revive it. When it comes to lead generation, our main focus with clients is quality, not quantity because we want to help my customers get the most sales possible from their premium content offers. Lead generation is a good starting point but if the leads aren’t turning into paying customers, our efforts were futile. At the end of the day, while you can use tools to gain insight into the performance of your premium content offers, it’s important to communicate with your sales team to discuss the quality of leads being generated with your content. Having these conversations with the sales team will give you details beyond typical metrics. You will learn nuances of the conversation that is happening between your prospects and sales development reps. These conversations will also allow you to get an even better understanding of how the sales conversation progresses which will help guide you as you develop your next piece of premium content. In order for premium content to perform, and in fact all content to perform (to get you all those leads at night while you are sleeping) don’t just write it and pray but instead make it your steadfast rule to strategize, measure and optimize. Would you like deeper insight into your sales metrics and more paying clients? The first step is to open the pathway to improved communication and a culture of accountability between marketing and sales. Get started - Download the worbook, "How to Create an Effective Sales & Marketing Service Level Agreement" today so you can quickly improve the ROI of all your inbound marketing investments.